There is a bonus to being a REALTOR where you get to learn from the market navigation experience of others. So I finally convinced myself and put together a list of the primary things that buyers and sellers should definitely consider. It’s Where The House Is! I could not help but make this the number one factor on my list. 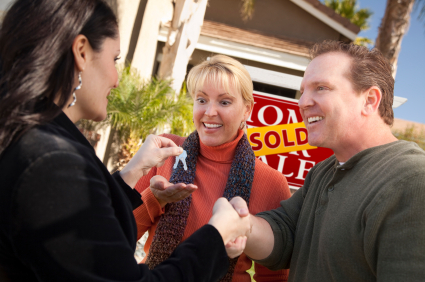 It does not matter if you are looking to sell or to buy. Forget the house itself. A small house in Juno Beach would be worth a lot more than an extravagant home in a less preferable street. If you are looking to buy, narrow down your search near a university area or a good school district for starters. Your Motto: My Ratings Need A Check! Credit Ratings are never perfect even when they are flawless. Learn to live with that. This is the best and safest assumption that will help you keep an eye on your ratings like a hawk which will lead to zero surprises during your negotiations with the lender. Moreover, if you are indeed buying on a mortgage, I have noticed and it has become something of a factual detail for me that meeting up with more than one lender at the same time before you start your house hunting regime is the way to go. Trust me, it’s much easier to buy a home once your choices are narrowed down by the budget. In my experience, two words that go together are Smart and Happy, where if you shop Smart, you will surely end up Happy. For sellers, the first tip is updating everything. Seriously, there is competition and it’s like a lightsaber against a conventional metal sword. You do not need to go on a high tech renovation project, just stick to the small details. Replace the carpet if you think it’s too worn out or get a new sink. These things are in plain sight when prospective buyers are inspecting the house, so why should you as a seller let this chance go without making a good impression? A lot of sellers believe that by setting an initial high price the negotiations will automatically reduce it to a suitable one. This is a risky move in my book. Buyers don’t even give high priced listing a second glance. It is the price listings that attract 99% of prospective buyers.